This is to inform those that sat for the 2017-2018 session of West African Senior School Certificate Examination(WASSCE), Senior Secondary Certificate Examination (SSCE) that their results are out and ready to be checked but before then I will like to guide you on how you can check your 2017-2018 Waec examination easily. After reading tnotice that some results are seized while the good news is that 923,486 of the 1,559,162 candidates that sat for the examination, obtained a minimum of credits in five subjects and above, including English Language and Mathematics. We to be sincere I heard that the West African Senior School Certificate Examination(WASSCE) will officially be reasoned on 19th July 2017 but you need to be read, get all the necessary things that will enable you to check your results online or with your mobile phones but I recommend checking your results online with a computer so that you can be able to print it out for admission processing and other uses. TO check your 2017 waec results you need to obtain a waec checking scratch card as usual and follow the process below. 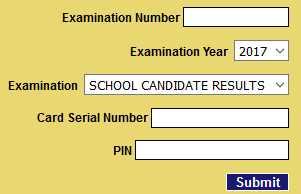 First, all the general website to check your WAEC results is https://www.waecdirect.org/ once you visit the site then select the year of the examination you want to check. When selecting examination type select school candidate results if you want to check 2017 West African Senior School Certificate Examination(WASSCE) but if you want waec GCE then select private candidate results. Make sure you select 2017 as the examination and input other details as required accordingly. If you are in a haste to see your score then you can as well check your want results using your phone, no internet connection required all you need to do is to follow this simple steps. I wish you all good lucky and happiness after checking your results.